Soothe (Anti Eczema) Synergy Essential Oil Blend. 10 ml (1/3 oz). Pure, Undiluted, Therapeutic Grade. Our Anti-Eczema Synergy is a 100% Pure, undiluted blend of Lavender, Bergamot, Geranium and Roman Chamomile. It helps with atopic dermatitis and eczema. Atopic dermatitis is an inherited form of hypersensitivity that usually first appears in infancy or early childhood. People with atopic dermatitis often have other family members with allergies and a history of eczema. It can become worse after you eat certain foods or are exposed to an allergen like dust or pollen. Atopic eczema can be a long-term condition, while contact dermatitis is the more common form of the condition. Many irritants that come in contact with the skin, such as soaps, bubble bath, fabric dyes, feathers, cosmetics, wool, plants and environmental pollutants, can also cause eczema. Both types of eczema are considered allergic responses. Formulated to rejuvenate and invigorate the skin, it is best is applied in a carrier such as a carrier oil or body lotion. 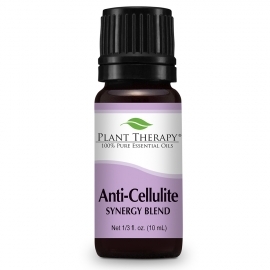 This oil should never be directly applied to the skin irritation. This is a blend of pure essential oils that are designed to help calm the wild child. It's great for use on your baby when diluted in a carrier oil or body lotion. It can also be used in a body wash at bath time. Zzzzzzzzzzzzz. We all like the sound of that. This synergy was created to help you get the best sleep possible. It will not only help you fall asleep, but it will also help you stay asleep. USE ONLY 1 (one) drop on a cotton ball or Tissue placed near your head board of your bed, that way if it becomes too strong you can easily remove this cotton ball. You can also diffuse in your room during the night. DO NOT place a drop on any fabric as due to the high amount of sediment from the Valerian Root essential oil it may stain any fabrics. 100% pure, undiluted essential oil synergy contains Mandarin, Ylang-Ylang, Valerian, Lavender and Neroli. Bring back the smells of Grandma's kitchen at Thanksgiving or the Yule holidays! This warm, inviting synergy blend evokes the happiness of simpler times of long ago. Holiday Season Synergy is perfect for use in a diffuser or sprinkled on logs in the fireplace, on Christmas trees, on cedar chips for dresser drawers, or on potpourri. Use all year round to make your home or office smell like Christmas without the synthetic chemicals found in traditional air fresheners. Contains the 100% pure,undiluted essential oils of: Orange, Cinnamon, Ginger, Nutmeg. The International Federation of Aromatherapists does not recommend that Essential Oils be taken internally unless under the supervision of a Medical Doctor who is also qualified in clinical Aromatherapy. All cautions listed for individual oils do not include those cautions from ingestion. Immune-Aid Synergy is a combination of several great oils to help 'protect' you and your family from all those nasty little bacteria and viruses. As many essential oils have varing degrees of antibacterial, antiviral and other germicidal properties, the oils in this blend makes it even more synergistic against these bad fellows.Suggested uses: Mix in a body care base or carrier before applying to the chest, neck and throat (use in a 2% dilution) or simply diffuse into the air. Blend of: Frankincense, Tea Tree, Lemon, Eucalyptus and Sweet Orange. The oils in this synergy are believed to be useful in reducing stress and its side effects. A wonderful synergy to help promote relaxation. Not only will it help you to 'settle' yourself inside, it also has oils to help you feel more at ease and give you a sense of well being. 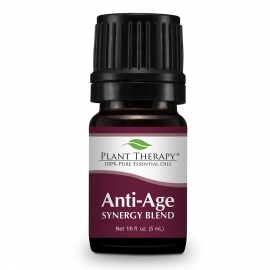 This blend may work great for over active children - especially at the end of a hectic or over stimulating day. 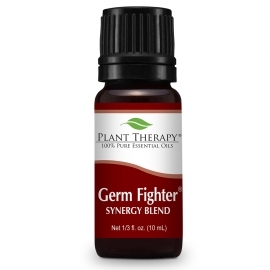 Germ Fighter Synergy will give you that extra protection you need. Plus, it smells great! Essential Oils - A Powerful Gift An essential oil is a concentrated, volatile, aromatic liquid that is obtained from the fruits, seeds, flowers, bark, stems, roots, leaves or other parts of a plant. This is most commonly accomplished by steam distillation. Purity and Quality. Equally as Important Plant Therapy's standards of quality are some of the strictest in the industry. Before we sell an essential oil we do everything possible to establish that it is 100% pure, natural, AND of the highest quality. To ensure that each oil meets these strict standards, Plant Therapy works directly with world renowned essential oil expert, Robert Tisserand, and several analytical laboratories. OUR STORY What makes Plant Therapy the best essential oil company? The PEOPLE. The owners. The management team. The aromatherapist team. The customer service team. The warehouse team. And last but not least, the BEST customers. We go above and beyond just selling the highest quality essential oils. That is why we created the first ever full line of KidSafe® synergies. Formulated by Robert Tisserand, parents can know without a doubt that they are helping bless the lives of their children with the safest and most effective oils on the market for their young ones. "Our ultimate goal is not to be the largest essential oil company; it is to positively impact the lives of as many people as humanly possible. Ultimately, we feel this is possible only by providing our customers with an exceptional experience that keeps them coming back. By selling such a high quality product at an affordable price, we not only positively affect the lives of our customers, it also gives us the financial means by which we can help those who are less fortunate to live a happier, healthier, and more productive life." Self-Esteem Synergy was created with you in mind! Have you ever felt like you needed a little extra courage to get you through the day? Have you ever felt down and needed a boost of confidence? Then Self-Esteem Synergy is for you! The essential oils in this synergy have been known for lifting spirits and bringing courage and confidence. Suggested uses: For diffusion, massage, bodycare products, or application to arms, wrists or legs. For topical use, dilute to 3-5%. * This contains 100% pure, therapeutic grade essential oils of: Spruce, Rosewood, Blue Tansy & Frankincense. Tension Relief (Headache Relief) Synergy Pre-Diluted Essential Oil Roll-On 10 ml (1/3 fl oz). Ready to use! Our Headache Relief Synergy is a general headache synergy. Headaches are a very common ailment. Almost all types of headaches can get relief from the use of essential oils. Headaches can come from many causes and be felt in various areas of the head & neck. * This pre-diluted roll on contains the 100% pure essential oils of: Peppermint, Eucalyptus globulus, Rosemary, Spearmint, Lavender, Basil linalool, Ravensara, Cinnamon Leaf, Ginger, and Roman Chamomile, blended into a base of fractionated coconut oil at 5% * To use apply this to the temples or base of the neck. * There can be a very serious type of sudden onset head pain which may indicate a stroke. If this is suspected, immediate medical help needs to be sought. * Essential Oils should never replace the advice of a medical doctor. We could all use more energy at times! Plant Therapy's Energy Synergy was created to give you a little boost during the day when you start feeling your energy drop. It is also great to help get your mind and body up and going in the mornings! Suggested uses: Place a few drops in a diffuser to give a lively atmosphere at home or at work. Use at 3% in a body lotion, or in a massage oil for an invigorating and uplifting massage. .Blend of: Peppermint, Rosemary, Lemon and Eucalyptus. Citrus Burst Synergy gives a wonderful light bouquet when added to your favorite body care products. Diffuse at home or at work for a fresh, inspiring scent. Citrus Burst is great for eliminating cigarette smoke, stale air, and other unpleasant smells! Suggested uses: Diffuse using your favorite diffuser or atomizer. Put 10-15 drops in your cleaning bucket to help freshen the area you are cleaning. Add 30 drops to 2 cups of baking soda and sprinkle over your carpets; let sit for at least 30 minutes and then vacuum. For topical use, dilute to 2-4%. Blend of: Grapefruit, Lemon, Lime, Litsea, Mandarin and Orange. Brain Aid Synergy (for mental focus and clarity). Essential Oil Blend. 10 ml (1/3 oz). 100% Pure, Undiluted, Therapeutic Grade. Characteristics: The essential oils in this Brain Aid Synergy are believed to enhance mental focus; try this product when working on large projects and those tasks requiring clear and decisive mental thought. It is a powerful mind energizer. * Usage: We recommend a 3 to 5% dilution for topical body applications. * Cautions: It is possible that this blend may cause sensitivities; users are recommended to use this blend only in dilution and not as a replacement for traditional medicine. Blend of: Pink Grapefruit, Bergamot, Palmarosa, Juniper Berry, Basil linalool, Lemon, Rosemary, Peppermint, May Chang, and Star Anise. The cooling, antimicrobial essential oils in this blend help clear congestion and allow you to take a deeper breath. Suggested uses: Place 5-8 drops in a large bowl of water that is just too hot for skin contact (not boiling) and inhale for 5 minutes. Or mix at a 5% dilution in a carrier oil or balm and use as a chest rub .100% pure, undiluted essential oil synergy contains Eucalyptus, Pine, Peppermint, Lavender, Spruce, Marjoram and Cypress. This Tummy-Aid essential oil blend was created to aid the body with digestion, intestinal parasites, fluid retention and urinary tract infection. Inhale several times per day or add to a body oil for a tummy massage. Rub down and in a clockwise direction. 100% pure, undiluted essential oil synergy contains Dill Seed and Sweet Fennel. The effect of fragrant substances on the human psyche often results in improved mood. People around us seem friendlier, colors look brighter, music sounds sweeter. It doesn?t take much to move that subtle switch from negative to positive. Our Blues Buster Synergy is formulated to increase your sensory and emotional well-being! Suggested uses: For diffusion, massage, bodycare products, or application to wrists, temples, or soles of feet. For topical use, dilute to 3%. Blend of: Tangerine, Geranium and Grapefruit. Tension Relief (Headache Relief) Synergy Essential Oil. 10 ml (1/3 oz). 100% Pure, Undiluted, Therapeutic Grade. Tension Relief:Peppermint, Eucalyptus globulus, Rosemary, Spearmint, Lavender, Basil linalool, Ravensara, Cinnamon Leaf, Ginger, and Roman Chamomile. In our busy and demanding world, the effects of stress often manifest as tension in the neck and head area. Use Tension Relief to take away this these dark clouds, freeing your head to think clearly again! Suggested uses: Mix into a gel, lotion or carrier oil and massage gently into the temples and neck area. For topical use only. Dilute to 3%. The essential oils in Clarity help to enhance memory and mental focus. Try this synergy when working on large projects, or any task requiring clear and decisive mental activity. Suggested uses: Clarity may be used in diffusion, massage, bodycare products, or application to wrists or temples. For topical use, dilute to 3-5%. * Cautions: It is possible that this blend may cause sensitivities; users are recommended to use this blend only in dilution and not as a replacement for traditional medicine. Blend of: Bergamot, Basil, Lemon and Grapefruit.